Parashat Emor describes the holidays on the Jewish calendar. While other sections of the Torah describe the holidays, it is in this Torah portion that we read the mitzvah of counting the Omer, the 49 days from the second night of Passover until Shavuot. Believe it or not, you can learn more about counting the omer from Homer Simpson! 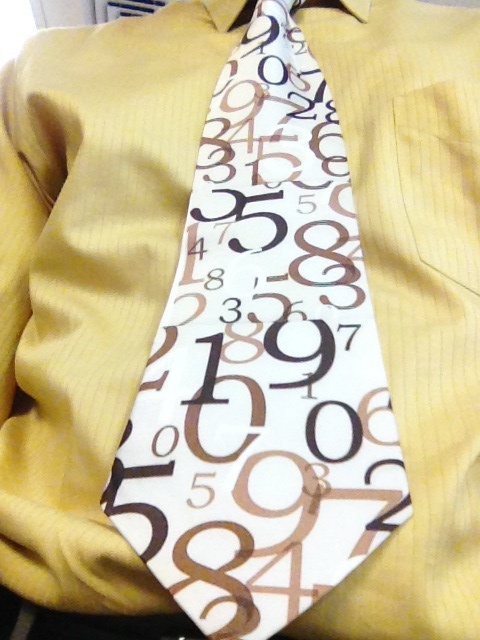 In the meantime, this tie represents our mitzvah of counting the days from Passover to Shavuot.